Patricia is president of the nonprofit educational organization New Age Study of Humanity’s Purpose, which sponsors her work and the Annual World Congress On Illumination. 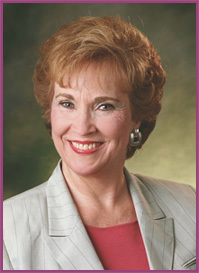 Patricia was a marriage and family counselor for 20 years. She now spends her time freely sharing the information she is receiving from the Beings of Light in the Realms of Illumined Truth. This is accomplished through her website http://www.eraofpeace.org, her Internet radio program, her free monthly E-mail newsletters, the free seminars she offers throughout the USA, a monthly newsletter she publishes titled Take Charge of Your Life and her books, CDs, tapes and dvds. The Divine Intent of these Celestial Sharings is to give Humanity greater clarity and understanding, as we progress through these wondrous but often challenging times. Patricia is an internationally known teacher and has taught workshops in the former Soviet Union, Ireland, England, South Africa, the Dominican Republic, Venezuela, Brazil, Bolivia, Mexico, Canada, Greece, Italy, Australia, New Zealand, Thailand, France, Bali and throughout the United States of America. She participated in the Soviet-American Citizens Summit in Moscow and represented the United States in the category of Holistic Models in Health, Psychology and Healing. Patricia also participated in the First Global Earth Summit held in Rio de Janeiro, Brazil. She had the honor of being a presenter at the Call to World Peace from the Universal Brotherhood gathering in Istanbul, Turkey, and the Symphony of Peace Prayers, which was a gathering of over 10,000 people at Mt. Fuji in Japan. Patricia's philosophy is: Every person is precious and Divine, regardless of how far his or her behavior patterns and life experiences may be from reflecting that Truth. We are not the victims of our lives. We are the cocreators of our lives. We have a choice, and we have the ability to transform our lives into what we want them to be. The time for us to do so is NOW!